DESCRIPTION: We were on the red carpet at the 2019 Golden Globes to quiz the nominees and stars on their movie and TV knowledge for the year. First we asked which movie or TV show from 2018 affected them the most; then we asked which star they most wanted to meet (Lady Gaga and Sandra Oh scored high!). Check out the video to see how your tastes line up against Hollywood's biggest names. Watch More: ► New on RT: http://bit.ly/2D4vReA ► Exclusive Interviews: http://bit.ly/2APqfQl ► Rotten Tomatoes Originals: http://bit.ly/2EzyjGO ► Sneak Peeks: http://bit.ly/2AQwDGP ► Celebrity Games: http://bit.ly/2FNDBTs Music: Courtesy of Extreme Music Join the Conversation: ► Subscribe to ROTTEN TOMATOES: http://bit.ly/2EwugLH ► Follow us on TWITTER: http://bit.ly/2mpschF ► Like us on FACEBOOK: http://bit.ly/2COySMI ► Follow us on INSTAGRAM: http://bit.ly/2FlxGC6 From original shows and celebrity interviews to Tomatometer scores, ROTTEN TOMATOES is your insider’s guide to must-see movies and TV. 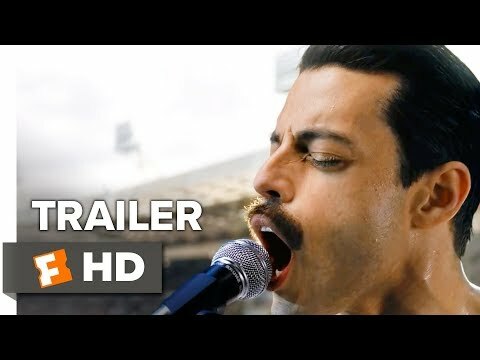 DESCRIPTION: Check out the official Bohemian Rhapsody trailer starring Rami Malek! Let us know what you think in the comments below. ► Buy or Rent Bohemian Rhapsody: https://www.fandangonow.com/details/movie/bohemian-rhapsody-2018/MMVDFA5ECAD09F4980A89F533795870FCF28?cmp=MCYT_YouTube_Desc US Release Date: November 2, 2018 Starring: Rami Malek, Mike Myers, Joseph Mazzello Directed By: Dexter Fletcher, Bryan Singer Synopsis: A chronicle of the years leading up to Queen's legendary appearance at the Live Aid (1985) concert in 1985. Watch More Trailers: ► Hot New Trailers: http://bit.ly/2qThrsF ► Drama Trailers: http://bit.ly/2ARA8Nk ► Indie Trailers: http://bit.ly/2Ey7fYy Fuel Your Movie Obsession: ► Subscribe to MOVIECLIPS TRAILERS: http://bit.ly/2CNniBy ► Watch Movieclips ORIGINALS: http://bit.ly/2D3sipV ► Like us on FACEBOOK: http://bit.ly/2DikvkY ► Follow us on TWITTER: http://bit.ly/2mgkaHb ► Follow us on INSTAGRAM: http://bit.ly/2mg0VNU The Fandango MOVIECLIPS TRAILERS channel delivers hot new trailers, teasers, and sneak peeks for all the best upcoming movies. Subscribe to stay up to date on everything coming to theaters and your favorite streaming platform. DESCRIPTION: Rami Malek, Lucy Boynton, Joseph Mazzello, and Gwilym Lee join Fandango correspondent Nikki Novak to share their thoughts on being a rock star vs. an actor, how they overcame adversity to achieve their dreams, and whether or not they CAN indeed do the "Fandango"! Watch More: ► Bohemian Rhapsody Playlist: https://www.youtube.com/playlist?list=PLZbXA4lyCtqrolFYhFnCqZ5zvpZwkfliK ► Exclusive Interviews: http://bit.ly/2D4tzw4 ► Set Visits: http://bit.ly/2mktEBb ► Celebrity Games: http://bit.ly/2tIzgMw ► Event Coverage: http://bit.ly/2D5vwbx Music: Courtesy of Extreme Music Join the Fandango Family: ► Subscribe to ALL ACCESS: http://bit.ly/2qM82Dg ► Like us on FACEBOOK: http://bit.ly/2Etzp6Y ► Follow us on TWITTER: http://bit.ly/2mg1siS ► Follow us on INSTAGRAM: http://bit.ly/2miBQSC From Comic-Con, set visits, and red carpet premieres to exclusive celebrity interviews and original content, FANDANGO ALL ACCESS takes you behind the scenes of the movies you love. 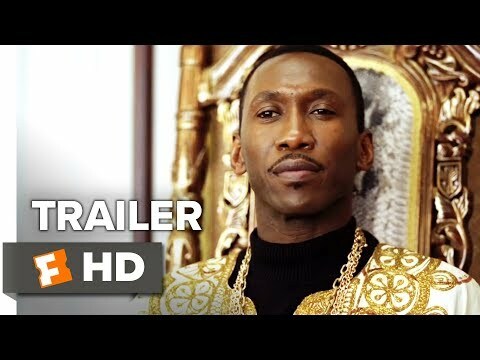 DESCRIPTION: Check out the official Green Book trailer starring Mahershala Ali! Let us know what you think in the comments below. ► Watch the full movie: https://www.fandangonow.com/details/movie/green-book-2018/MMVA93727B24284C48B88C3D456499EF7767?cmp=MCYT_YouTube_Desc US Release Date: 2018 Starring: Linda Cardellini, Viggo Mortensen, Mahershala Ali Directed By: Peter Farrelly Synopsis: A working-class Italian-American bouncer becomes the driver of an African-American classical pianist on a tour of venues through the 1960s American South. Watch More Trailers: ► Hot New Trailers: http://bit.ly/2qThrsF ► Comedy Trailers: http://bit.ly/2D35Xsp ► Drama Trailers: http://bit.ly/2ARA8Nk Fuel Your Movie Obsession: ► Subscribe to MOVIECLIPS TRAILERS: http://bit.ly/2CNniBy ► Watch Movieclips ORIGINALS: http://bit.ly/2D3sipV ► Like us on FACEBOOK: http://bit.ly/2DikvkY ► Follow us on TWITTER: http://bit.ly/2mgkaHb ► Follow us on INSTAGRAM: http://bit.ly/2mg0VNU The Fandango MOVIECLIPS TRAILERS channel delivers hot new trailers, teasers, and sneak peeks for all the best upcoming movies. Subscribe to stay up to date on everything coming to theaters and your favorite streaming platform. DESCRIPTION: Mahershala Ali and Viggo Mortensen recall Viggo eating an extraordinary amount of pizza to gain weight for his role, while Mahershala struggled to lose weight for his role. Meanwhile, director Peter Farrelly reveals he's driven across the country 22 times (16 by himself), and explains why the road is the best place to brainstorm as a filmmaker! Watch More: ► Green Book Playlist: https://www.youtube.com/playlist?list=PLZbXA4lyCtqq-pQL4UJIDwDde2Ph_0dbO► Exclusive Interviews: http://bit.ly/2D4tzw4 ► Set Visits: http://bit.ly/2mktEBb ► Celebrity Games: http://bit.ly/2tIzgMw ► Event Coverage: http://bit.ly/2D5vwbx Music: Courtesy of Extreme Music Join the Fandango Family: ► Subscribe to ALL ACCESS: http://bit.ly/2qM82Dg ► Like us on FACEBOOK: http://bit.ly/2Etzp6Y ► Follow us on TWITTER: http://bit.ly/2mg1siS ► Follow us on INSTAGRAM: http://bit.ly/2miBQSC From Comic-Con, set visits, and red carpet premieres to exclusive celebrity interviews and original content, FANDANGO ALL ACCESS takes you behind the scenes of the movies you love.